CPRE Co-Director Jonathan Supovitz interviews former New Mexico Secretary of Education Hanna Skandera about the measures being taking in New Mexico regarding equitable access for students, as well as some new funding policies that have been established to address school choice issues. This Cool Thinking on Hot Topics provides a cohesive look at one of the most critical conversations occurring in the education landscape today: school choice. By bringing together policymakers, researchers, and practitioners to analyze, critique, and provide context to the most relevant aspects of the school choice debate, this Cool Thinking will provide new perspectives to help viewers consider the debate with a new focus. CPRE Co-Director Jonathan Supovitz interviews former New Mexico Secretary of Education Hanna Skandera, National Association of Charter School Authorizers Vice President of Research & Evaluation Karega Rausch, Massachusetts Teacher of the Year Sydney Chaffee, Regional Director of the American Federation for Children Ryan Cantrell, and New Mexico House of Representatives member Dennis Roch. 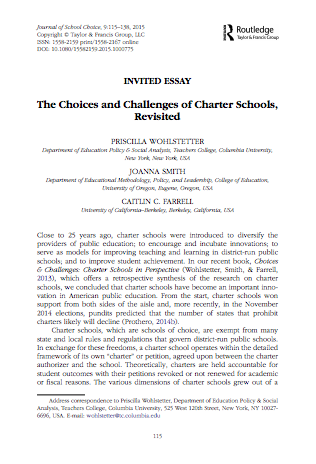 In these interviews, the participants recount the status of charters, choice, and vouchers in their states, whether these elements of choice will be expanding in the future, what challenges decision-makers have encountered, how research has informed these choice policies, and whether the states have done any evaluation of the effects of choice on parents or students. Want to learn more about school choice? These select resources will provide more ways to engage with the current conversations occurring around school choice. These resources will deepen your knowledge base, and provide additional details and considerations to supplement the conversations captured in our Cool Thinking videos on Autonomy and Regulation in School Choice. 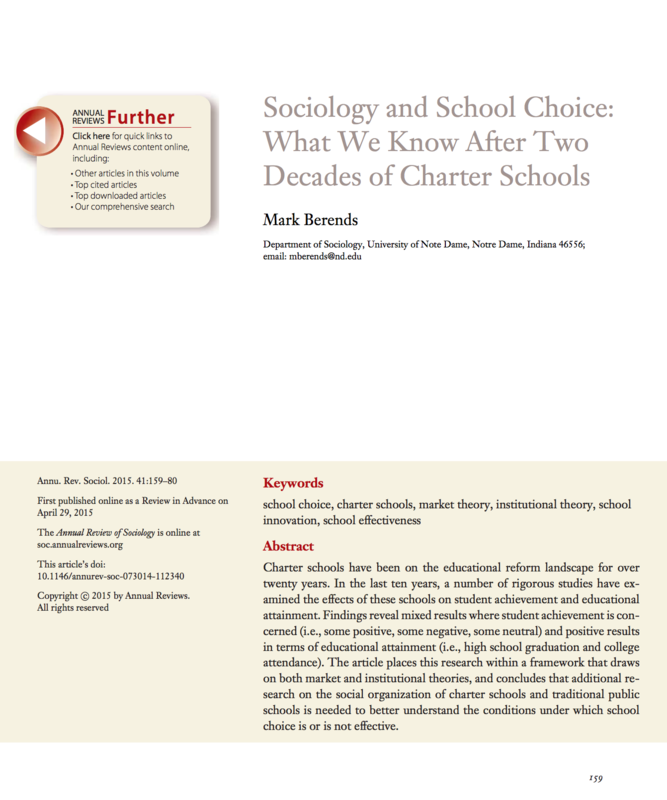 Mark Berends, Sociology Professor at the University of Notre Dame, considers research on charter schools condcuted over the last decade, reviewing the takeaways from that research and providing a framework through which researchers, administrators, and policymakers can come to view the charter school movement. 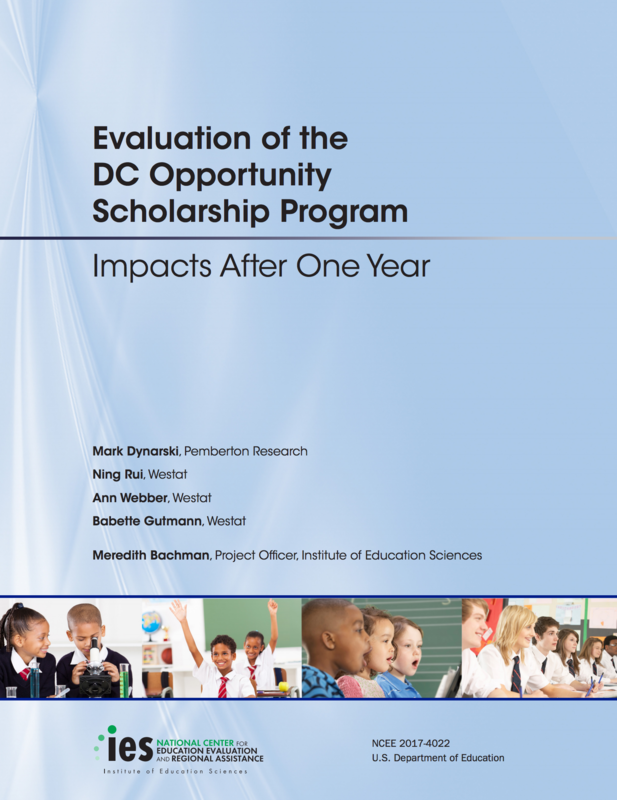 Researchers studied the effect of the District of Columbia Opportunity Scholarship Program, which provides tuition vouchers to low-income parents who want their children to attend private school. After one year, the program has not had a statistically significant impact on parents' or students' satisfaction with their schools, had a statistically significant, negative impact on mathematics achievement for students, and a statistically positive impact on parental views of their children's safety at school. Two years after publishing Choices and Challenges: Charter School Performance in Perspective in 2013, Priscilla Wohlstetter, Joanna Smith, and Caitlin C. Farrell wrote an invited essay in the Journal of School Choice to both look back at the predictions made in their book about the growth of charter schools, but also to look forward based on newly available research about what trends will be necessary to study going forward to best understand how charter schools function in the United States. 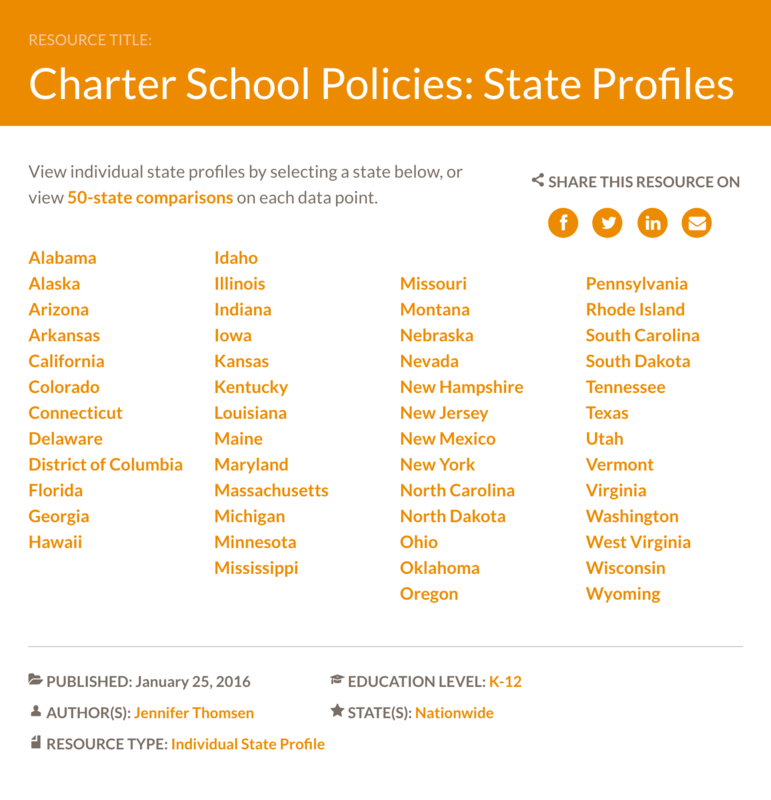 The Education Commission of the States compiled the charter school policies for all 50 states on this site: http://www.ecs.org/charter-schools-policies-state-profiles/. In addition to having the description of charter school policies in each state on its own, ECS also provides a comparison of all 50 policies. Diane Massell from the Consortium for Policy Research in Education and Joshua L. Glazer and Matthew Malone from George Washington University studied the Achievement School District and their efforts to bring in charter management organizations into the district to help with district turnaround efforts. 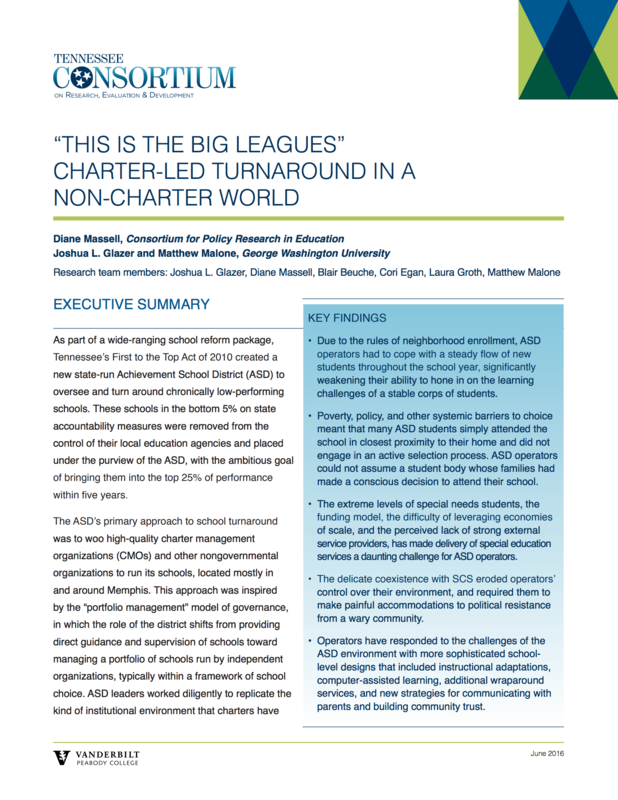 Despite the Achievement School District's best attempts at creating an amenable environment within which charter schools could flourish, there were a number of roadbllocks that made it challenging for charter schools to take root in the turnaround environment. Florida's Office of Program Policy Analysis & Government Accountability found that the state's tax credit scholarship program saves taxpayers $1.49 each in state education funding. 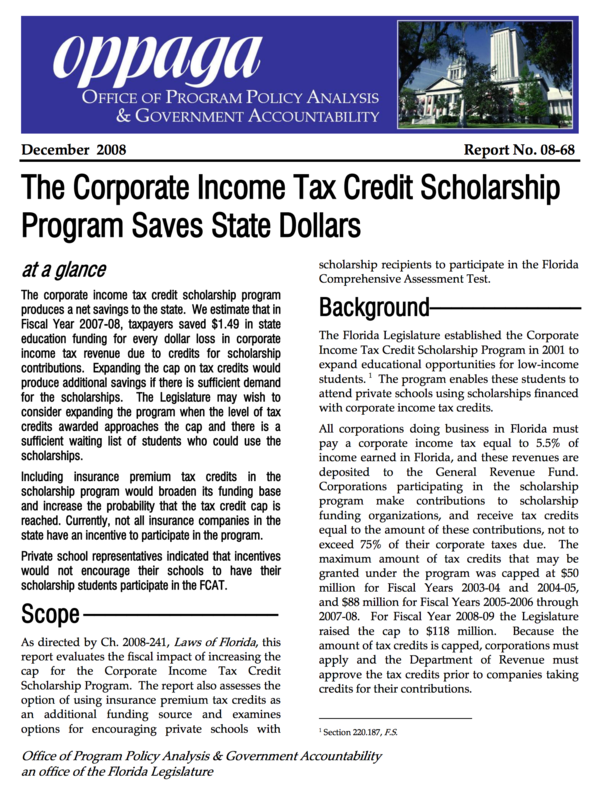 This analysis followed after seven years of Florida's establishment of the Corporate Income Tax Credit Scholarship Program that allowed students from low-income backgrounds to attend private schools through these scholarships. David Figlio & Cassandra M. D. Hart take a look at how the Florida tax-credit system, meant to spur competition, impacted schools in the state. 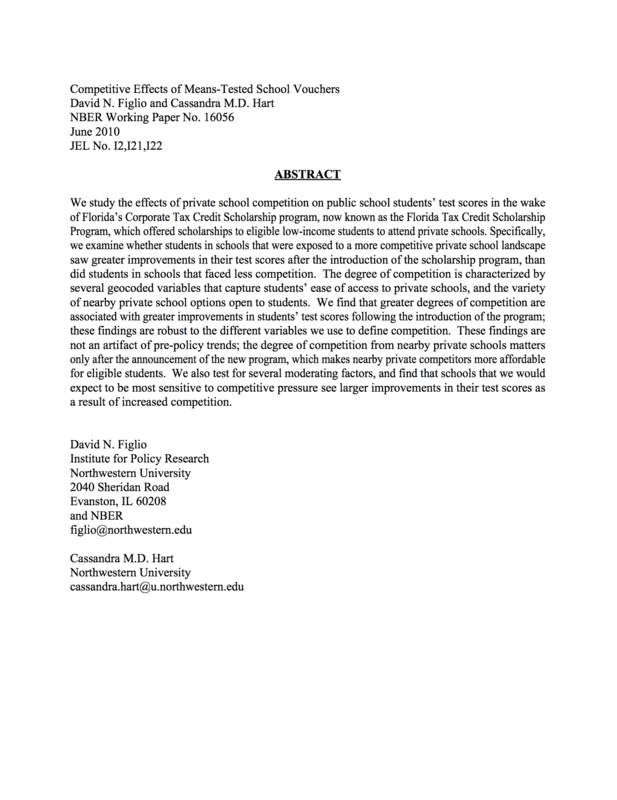 The researchers determine that Florida's tax-credit system increased the chance that public schools would lose students to private schools, and that, in cases where private schools were found closeby public schools, those public schools improved student achievement after the tax-credit scholarship program was announced. 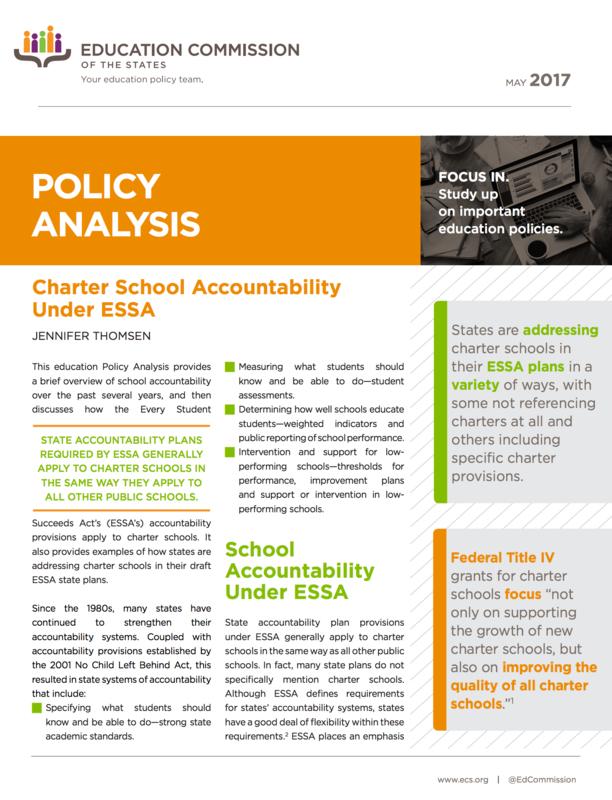 This resource explains how charter school accountability will function under the Every Student Succeeds Act, while also providing a useful overview of how it has functioned in the past. 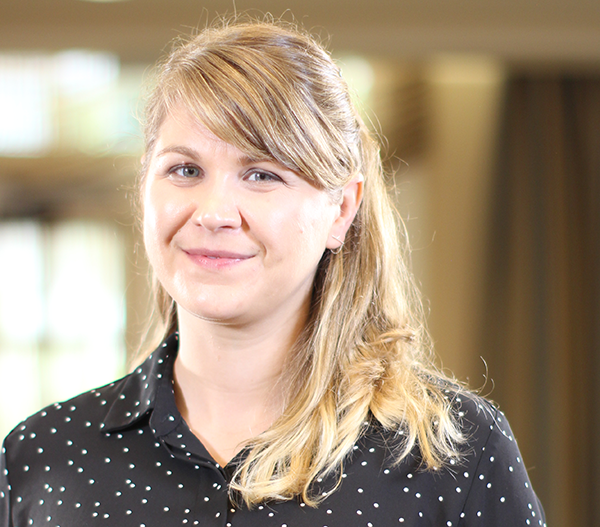 Sydney Chaffee is a humanities teacher at Codman Academy Charter School in Massachusetts, where she works to develop authentic, relevant, and interdisciplinary lessons. She was named the 2016 Massachusetts Teacher of the Year for her work in the classroom, where she attempts each day to show students that they have more power to affect change than they realize. 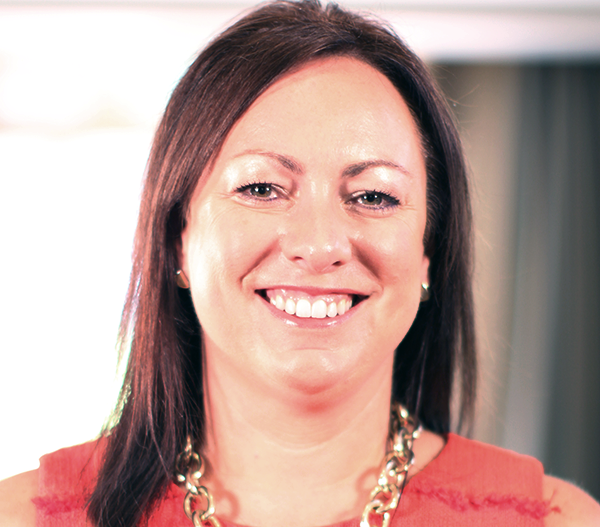 She has also served as a consultant on EL Education's curriculum design project, a mentor for pre-service teachers from Turfts University and Boston University, a member of Massachusetts' Teacher Advisory Cabinet, and a Teacher Plus Policy Fellow. As the Vice President of Research and Evaluation at the National Association of Charter School Authorizers, M. Karega Rausch conducts research and evaluations to strive towards high-quality authorizing practices and policies within charter school authorizations. 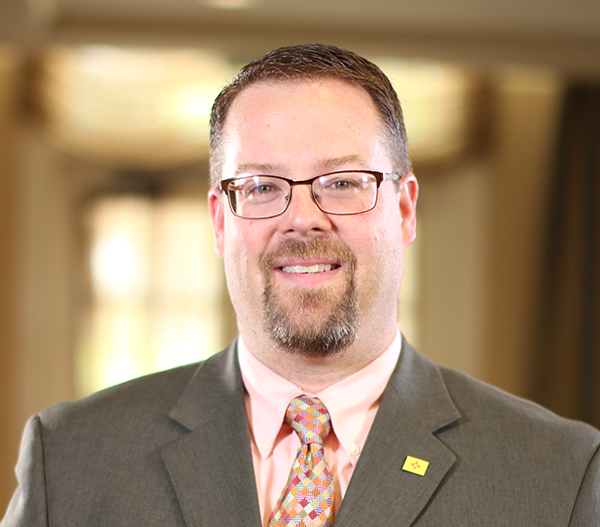 Having worked as a charter school authorizer, an education policy researcher, a community engagement specialist, and an advocacy strategist, Rausch brings a number of skills to his role as the Vice President of Research and Evaluation. 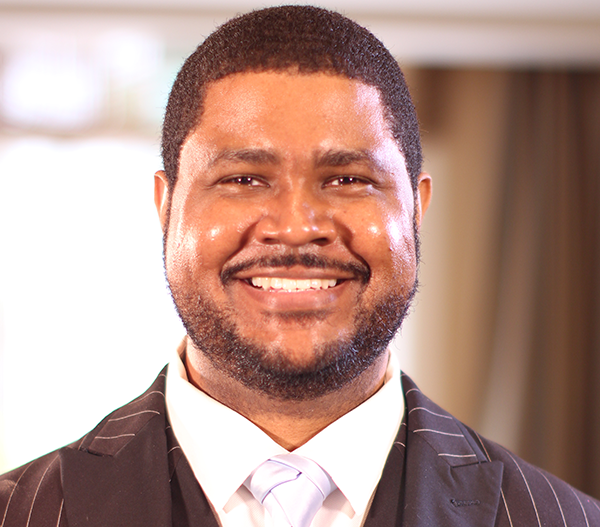 Before taking this position, Karega worked as the Charter Schools Director in the Indianapolis Mayor’s Office and founded Stand for Children, a national educational advocacy nonprofit. Dennis Roch has served as a State Representative in the New Mexico House of Representatives since 2009, and is a member of the House Education committee, as well as the House Rules & Order of Business committee and the House State Government, Indian & Veterans Affairs committee. He has also served a four-year term on the Public Education Commission in New Mexico, as well as working as a teacher, principal, and currently as a district superintendent. Nominated to serve as New Mexico’s Secretary of Education in 2010, Hanna Skandera served 6-plus years at the head of body, working hard to implement strong standards, craft effective teacher evaluations, and comprehensive assessments across the state with the goal of improving education. Prior to that time, she served as the Deputy Education Commissioner of Florida.